Anytime I open social media or the news it’s infiltrated with bad news. Storms. Shootings. Deaths. It can be so overwhelming at times that it almost leaves me paralyzed with fear. Which is what the enemy loves to do; he loves to kill, steal and destroy believers and often the weapon he uses is fear. 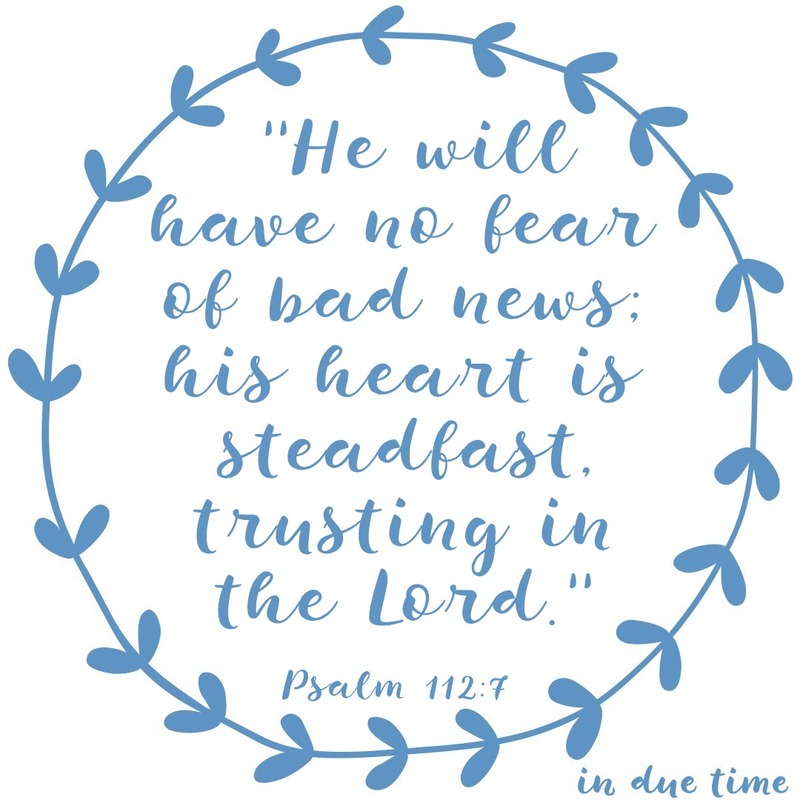 But Psalm 112:7 says, “He will have no fear of bad news; his heart is steadfast, trusting in the Lord.” There is only one person who knows what the future holds and that is our Lord and Savior. 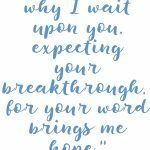 Yes, we will all face trials here on earth, but we can’t go day to day fearing what might happen. 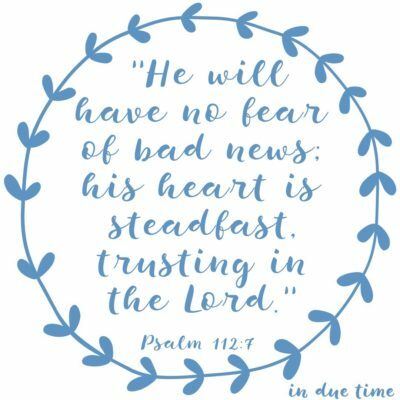 This verse says we should never fear bad news! 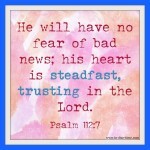 Fear is never from the Lord. He doesn’t ever speak by fear, but only by love. He hasn’t given us a spirit of fear, but of power, love, and a sound mind. So know that when you put your trust in God you have nothing to fear. 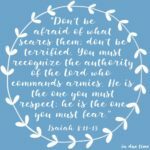 Will fear come in if you focus more on the news than on God? Yes, it will! I know that because I have done that. But when you remain steadfast by fixing your eyes on Christ and putting your hope and trust in him, you will have nothing to fear. 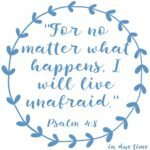 Are you trusting God completely with the unknown and your future or are you letting fear rise up instead? Replace your fear with faith in him. Make sure you heart is steadfast in seeking the Lord and not seeking or worrying about the unknown. No matter what happens, remember that God is with you and he is for you. The world might be falling apart around you, but God? He always remains the same! 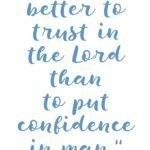 God has certainly been teaching me a lot about trusting Him in the last few months! 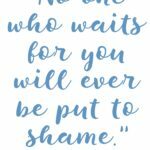 This post reminds me of the verse I have on my bedside table: “God is our refuge and strength, a very present (or well-proved) help in trouble. Therefore we will not fear though the earth gives way, though the mountains be moved into the heart of the sea, though its waters roar and foam, though the mountains tremble at its swelling.” (Psalm 46:1-3) The other day my husband read it to me and kept going at the end, listing every thing he knew I was worried about! That got my attention!